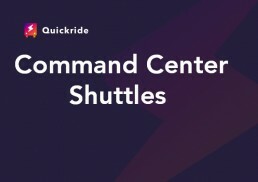 We have updated the Command Center with new features that will further help car dealerships manage their shuttles. The Command Center divided between the Map and the Command Center. The Ride List is where the rides get created. The Ride Lists also gives an overview of the status of the trips. 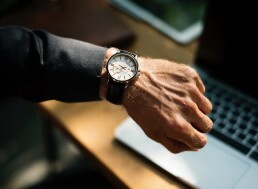 Waiting – this can be for pick-up or drop-off. En Route – this means that the driver is on his way. Canceled – this means that the ride request got canceled. Finished – this means that the ride request is complete. 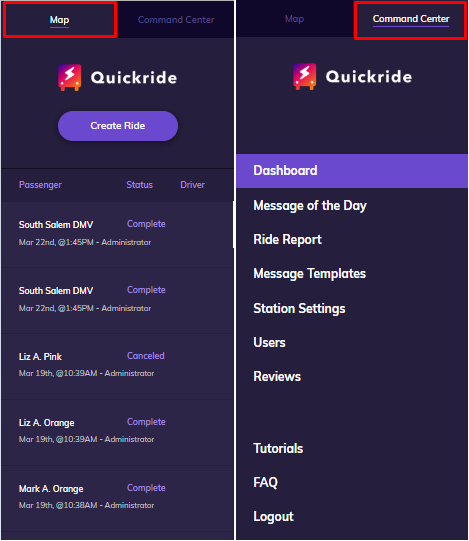 Rides Today – this shows all the trips and their statuses. Control PanelWe have added additional features and settings that will allow Admin users to customize the Command Center. Click on the newly added features, to know more details about it.